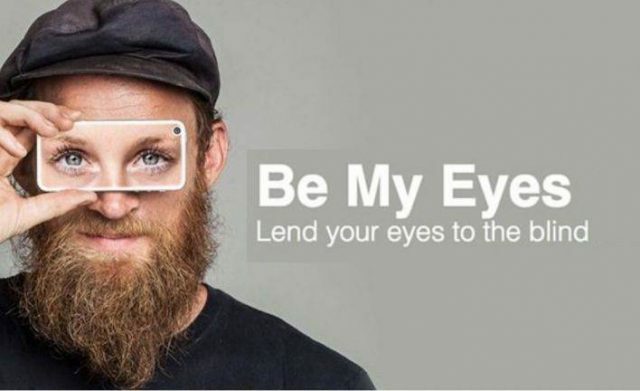 Be My Eyes is a free mobile app that lets you be a blind person’s eyes anytime from anywhere in the world. With the press of a button, the app establishes a live video connection between sighted volunteers and blind or low-vision people. Every day, volunteers are lending their eyes to help with anything from simple tasks, like checking expiration dates, to more complicated situations, like navigation or finding a lost item. With more than a million users across 150 countries, Be My Eyes has grown to become the largest online community for blind and low-vision people and it is now possible to request assistance in more than 180 languages. The app harnesses the power of generosity, technology, and human connection to help blind and low-vision individuals lead more independent lives. I encourage you to download the app and volunteer. It can be on your own time, whenever you have a few free minutes. Share a video on Facebook so your friends will be involved, too. Watch more videos on the Be My Eyes Youtube channel.